Open Day 2015 is happening at the University of Adelaide on 16 August 2015. Staff members and volunteers from the School of Computer Science are ready to showcase current students and research projects, and to discuss the School’s opportunities to study CS. In the Atrium of the Ingkarni Wardli Building, we will have amongst others two 3D sensing demos. On Level 4, we will have tours through the School of Computer Science, during which we will show you projects that aim at helping elderly people, software engineering projects, projects on education in CS, we will have a puzzle space (since much in CS is about solving problems efficiently), we will have robots, and much more. 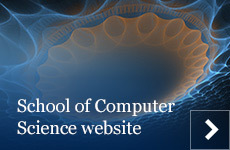 If you already want to learn more about the undergraduate and postgraduate programs at the School of Computer Science, then you can learn more here.